We honestly believe that if we can successfully do both of these things, we'll have done a great job. Maybe that's why some of the area's best-known companies, both large and small, rely on us for their concrete and asphalt needs. Our commitment to the highest quality workmanship and ethical standards allows us to confidently say you won't get a better quality job anywhere else. Renco Construction, Inc. has been an area leader in the paving business since 1980. 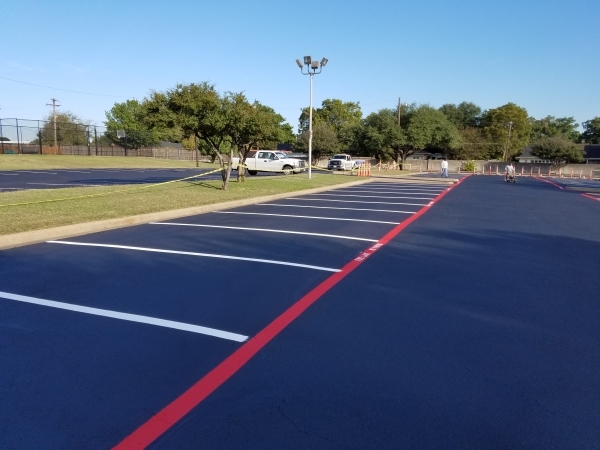 We specialize in new construction and repair work for both asphalt and concrete applications alike. We stick to the fundamentals of delivering the best product possible while exceeding our customers’ needs. Our mission is not only to improve the quality of the property, but to enhance its appearance and value. Our primary area of work is the Dallas/Fort Worth Metroplex. However, for large jobs, we will bid on work anywhere within Texas. We pride ourselves in our ability to handle any size job in both an economical and professional manner.